Lewis Brisbois is a national, full-service law firm with more than 1,300 attorneys from coast to coast. We are listed among the prestigious AmLaw 100 and ranked 9th in the Law360 400 list of the nation’s largest law firms. At Lewis Brisbois, diversity is an integral part of our firm culture and everyday life. Lewis Brisbois is committed to attracting, hiring, retaining and rewarding the best legal talent. This values-based approach has propelled Lewis Brisbois to become one of the nation’s largest and most successful law firms, reflecting the vibrant diversity of the client and legal communities we represent. With minority and women partners approximately double the national average, Lewis Brisbois offers an inclusive atmosphere of opportunity to our attorneys and a deep understanding of the goals and perspectives of our richly diverse clientele. 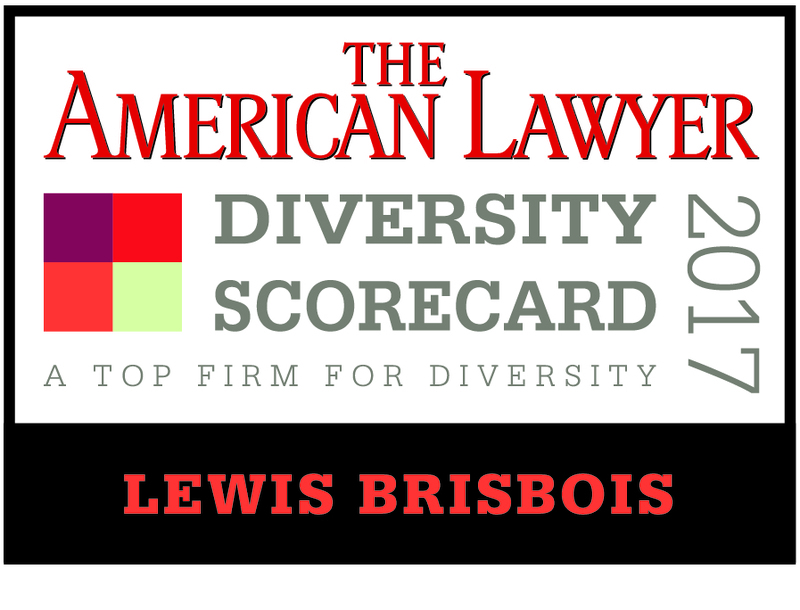 Lewis Brisbois has repeatedly received top recognition for its commitment to diversity from various legal industry publications.